Competent coverage means something different at Stewart Law Group. We don’t get hearings covered by blasting texts, emails or posts out to the bar licensed world like our competitors. When you select Stewart Law Group, you aren’t getting just any attorney – you are getting “one of us”. We manage a closed network of attorneys all over Florida. Attorneys with SLG have been selected by our management team, vetted for compliance standards of the creditor industry and have completed exclusive SLG training. 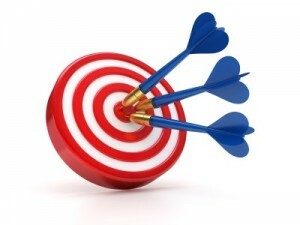 Each attorney is scored and routinely re-scored for performance within our network. The size of our network meets the demands of the market. Our goal is keeping experienced attorneys working with adequate file volume to keep them in our network. What does this mean to you? Relationship. Your matters will be handled by the same attorney team in a geographic location. You can get to know them and gain the efficiency of working together over time. Consistency. Fewer variables equal increased consistency. If you know your attorney and their experience level, you can expect more consistent performance. Home field advantage. Just like school – if you are there every day, you know what’s going on. For attorneys, if it’s your area of the law, you are up-to-date on the changes. With SLG’s network, we pride ourselves on aggregating the gritty details that make the difference to clients. We maintain our own independent information of courtroom requirements, in addition to those posted by the county and circuit courts. For example, Judge Jones will not permit more than $200 aggregate for property inspections. This kind of information can only be collected from attorneys on the ground and must be maintained as trends change. With SLG as your appearance counsel you have a team member in the courtroom providing consistent results with up-to-date information – leveraging home field advantage for your client.